Hi, I want to use the Windows theme, the one in the picture below, it's one thing that bothers me. 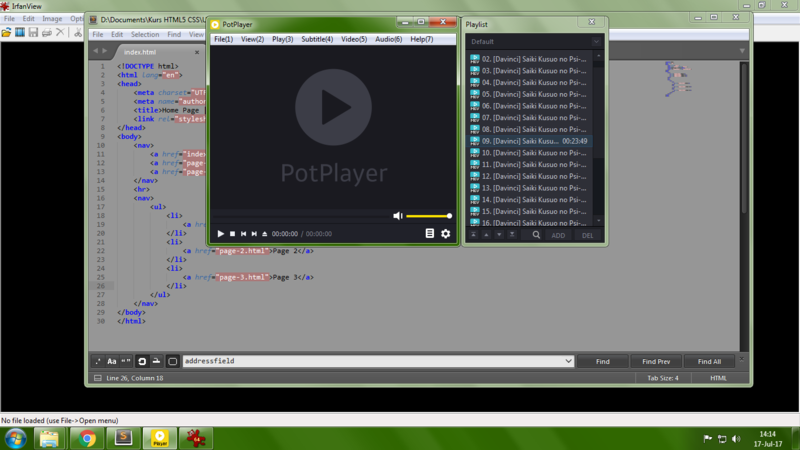 I don't know how to make the playlist window merge inside the main window and have access to it when in full screen. I really want to be able to do this, do you guys know a way to do this? A 3rd party Windows theme that does that? A setting I overlooked? TianlanSha wrote: A setting I overlooked? Attach\Detach playlist completely depends on the skin. By default in WindowFrame.dsf this feature is missing. Attach\Detach playlist by Right Click on playlist button.